The aim is to create and deliver best of homes and different property options for discerned buyers. 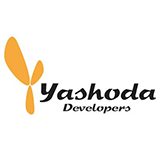 “Yashoda” brings to the table a young and progressive approach towards real estate development. With greater emphasis on new designs and construction methods, Yashoda has already made its small presence in the property market of Pune. Our motto spells commitment and therefore, we are willing to go that extra mile in offering high value for our customer’s money. Our recently sold projects like Golden Trellis and Fortune Acres are a testimony to the fact. Construction development is a team work and hence, we believe in entrusting responsibilities to able and like-minded professionals – Architect, Structural Engineer, Landscape Specialist, and Legal Advisor. • Our future plan is to develop about 10,00,000 square feet space over the next two years with a mix of commercial, residential and plotting schemes.